U There are two important Easter people in today’s texts – Peter and Paul. The stories about them for today are rich and not terribly familiar to children. So, it would be wise to focus on one or the other. 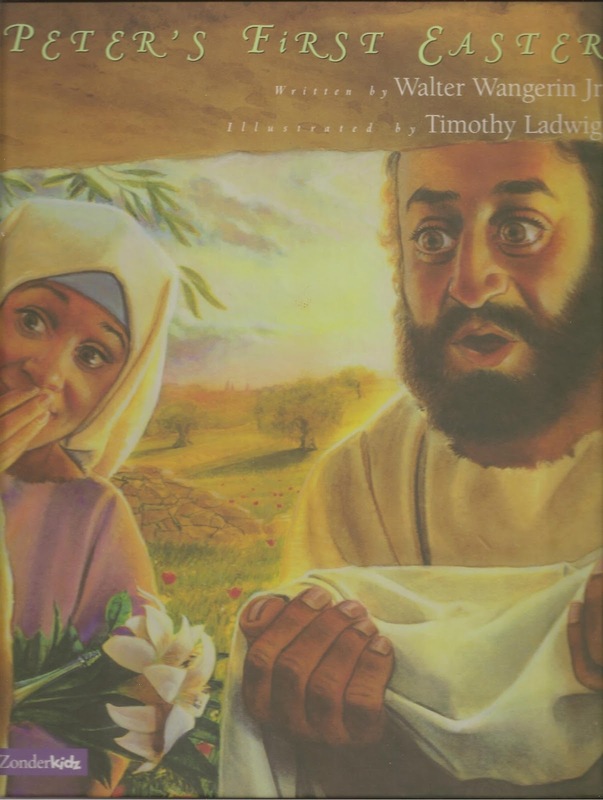 The one theme that ties both stories and that speaks strongly to children is forgiveness. Children are impressed that Jesus forgave both Peter, the best friend who had deserted him when he needed him most, and Paul who had been killing and imprisoning Christians. If Jesus forgave them, children feel they can probably trust Jesus to forgive anything they might do. U In children’s words, Paul was the biggest bully on the block. He was turned into a leader of the church by Jesus and by the loving care of the Christians who welcomed him. Talk about an Easter surprise! U If you explore the amazing changes that are possible in people like Paul, recall The Great Gilly Hopkins, by Katherine Paterson. Gilly is a “difficult” foster child with a difficult-to-her foster family and a school she does not like. In the course of the book she changes in striking ways and understands the people around her in strikingly new ways. This is a chapter book many middle and older elementary children have read. If you haven’t read it you’ve missed a treat for your adult self. U Children, like many adults, are jealous of Paul’s dramatic confrontation with Jesus. They would like to see light, hear Jesus’ voice, even be blinded - but only for 3 days. It helps them to hear that many adults share this feeling and to hear other ways God speaks to us today named, e.g. God speaks to us in the Bible, through other people, through experiences, etc. It also helps children move past these feelings to point to the roles people as well as God played in changing Paul. Paul could have stubbornly refused to hear what Jesus and Ananias said. Ananias could have refused to heal Paul and talk to him about Jesus. The other Christians could have decided that Paul was tricking them and that if they welcomed him even more of them would end up dead or in prison. But, they all decided to risk trusting each other. Finally, note that responding to Jesus today may not come with all the dramatics, but it is also - most of the time – a little safer. Our challenge is to meet Jesus in the stories about him and figure out how to be his followers where we live today. U Focus on Ananias’ role in Paul’s transformation. Briefly outline what Ananias did for Paul focusing more on what he did than on his original response to the idea of doing it. Then, invite worshipers of all ages to ponder who has been like Ananias for them. Children might identify special teachers, coaches, or older friends. To take it a step further ask whom they teach and serve as Ananias. Children might identify younger siblings or friends. If children make promises to the babies baptized in the congregation, this is a chance to think of ways children can show these younger children how to follow Jesus. U Before singing “Open My Eyes” read through the first verse connecting it to Paul’s story. Suggest that worshipers sing it imagining themselves as Paul waiting for Ananias after being blinded by Jesus on the road. U Point out to the children that there is a difference in happiness and joy. Happy and Joy are what we feel when everything is going great. Happiness disappears when things start going badly (someone is sick, scary things are happening, things we want to happen don’t happen). But, because we know God is with us even in the bad times, we still can have joy. A monk named David Steindl-Rast says that joy is “that kind of happiness that doesn’t depend on what happens.” Another person rephrased verse 5b “weeping and sadness come to spend the night, but joy moves in to stay.” That is a challenging, but useful idea to children who are only beginning to learn that their feelings at any given moment don’t have to run their lives. U Celebrate the changes God can make singing “O Sing to the Lord!” a light hearted Brazilian call to praise. Or, follow the psalmist’s sturdy joy by singing the old favorite “I’ve Got A Joy, Joy, Joy Down in my Heart.” I’ve got the love of Jesus, love of Jesus” and “I’ve got the peace that passes understanding” are good verses for this psalm and the other texts for today. U Today’s code figure is the Lamb. 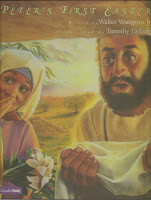 Though there are deep atonement theology connections in this image, for children it is simply a code name for Jesus. The bottom line of these verses is Jesus is worthy of worship. Indeed he is right there by, almost on the throne of God. U Point out any Lambs that are carved, painted, glassed or stitched into your sanctuary. Point out that every time we see those lambs we remember Jesus. If you do not have lamb imagery in the room, show some from other places. 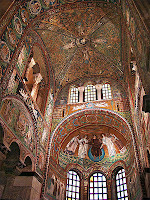 The one in these photos is from the ceiling of San Vitale in Ravenna, Italy. 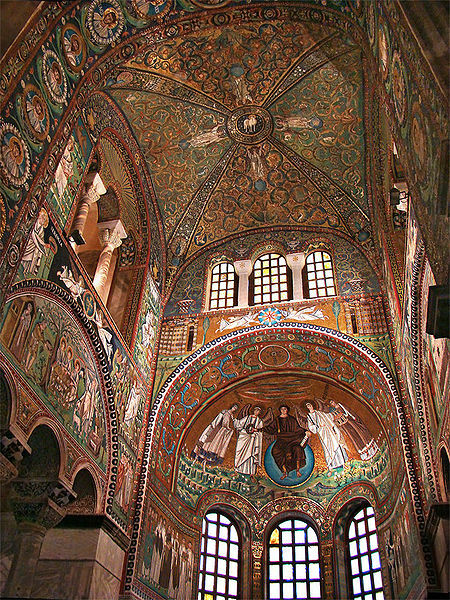 Christ the Lamb is pictured among the four angels of the text at the center of the ceiling of the church. Imagine worshiping under this picture of Jesus. Point out that when this fancy mosaic Lamb of God was made, it was safe to be a Christian. Even the emperor was a Christian. But, people still used the code symbol to remember Jesus. 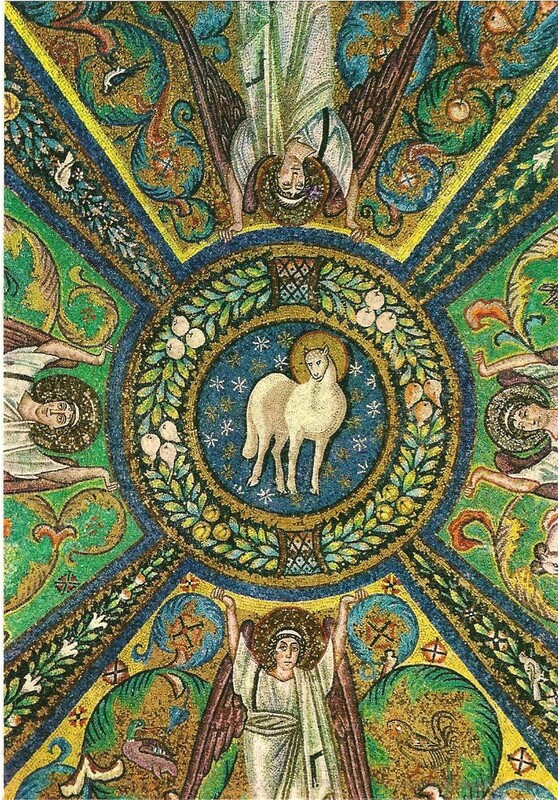 The Lamb at the peak of the ceiling in San Vitale. A postcard from a trip in 1974. U Sing “Blessing and Honor and Glory and Power” after identifying the Lamb and throne words in it and connecting them to Revelation. Invite worshipers to imagine themselves singing it with the persecuted Christians who first read Revelation. U This story begs to be read and explored at an outside breakfast picnic. If the weather allows, what about beginning worship with a congregational picnic and holding worship outside? Or, simply sit around a fire outside for worship today. If you must worship inside, consider passing out goldfish crackers to eat as the story is read. U Peter’s experience from Maundy Thursday through Good Friday and Easter then the fish fry at the beach is the resurrection story that makes most sense to older children. They understand the dynamics of Peter’s denials, the fears that followed and the relief that Jesus’ forgiving welcome brought. But, it takes more than these verses to tell the entire story. Consider presenting a series of readings or skits telling the story of the call to the fishermen, Peter’s confession and new name, the denials, and Peter’s role at the empty tomb, and then the fish fry. It could almost become a lessons and carols on Peter’s life as a disciple. U If you will read only today’s text, call out especially to the children to hear this story as you read it. Gather them on the steps or simply speak to them in their pews. Set the stage for them. Peter, Jesus’ best friend had pretended he did not even know Jesus not once but three times as he was on trial. Now Jesus was somehow, amazingly alive again. Peter was scared. What would Jesus think of him, say to him, even do to him? Then read the story from the Bible or from Peter’s First Easter. My sketches. Feel free to copy to cut patterns. U The number of fish – 153 – is an interesting detail. I think a case can be made that they are sort of a promise about the future to the frightened disciples. Jesus had called them to catch people. Just as he helped them bring in the amazing catch of 153 fish, he will help them bring in lots and lots of people. 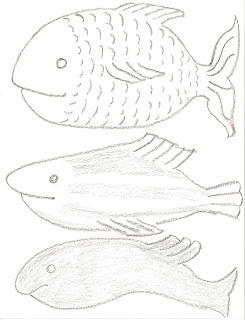 To explore this, display 153 fish (maybe cut out of paper, possibly in fishnet). Or count out 153 goldfish crackers into a glass bowl and imagine what a pile of that many real fish would look like. Marvel at how many that is and explain Jesus’ possible promise. 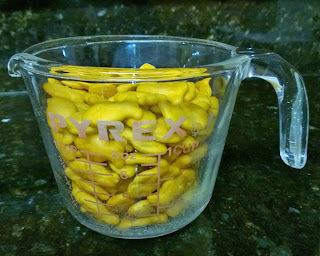 FYI This is 153 goldfish crackers in a one cup measuring cup. U This story echoes the disciples’ original call from their boats to fish for people. To explore this connection with the children reread Jesus’ question to Peter asking them who the “these” is. Note that no one is sure, but suggest that it might be those 153 fish they just caught and that what Jesus was asking was, “Peter, do you love me more than you love fishing? Are you ready to really leave the fishing behind and become disciple forever?” Celebrate the fact that Peter answered that he was and that he did indeed spend the rest of his life leading the new church. U Sing “Will You Come and Follow Me.” Introduce it as a question Jesus was asking Peter on the beach and also one Jesus is asking us today. The words are simple enough that older elementary children can read them with understanding. Gosh, there's a lot of good stuff this week! I'm going with Peter and the 153 goldfish crackers. 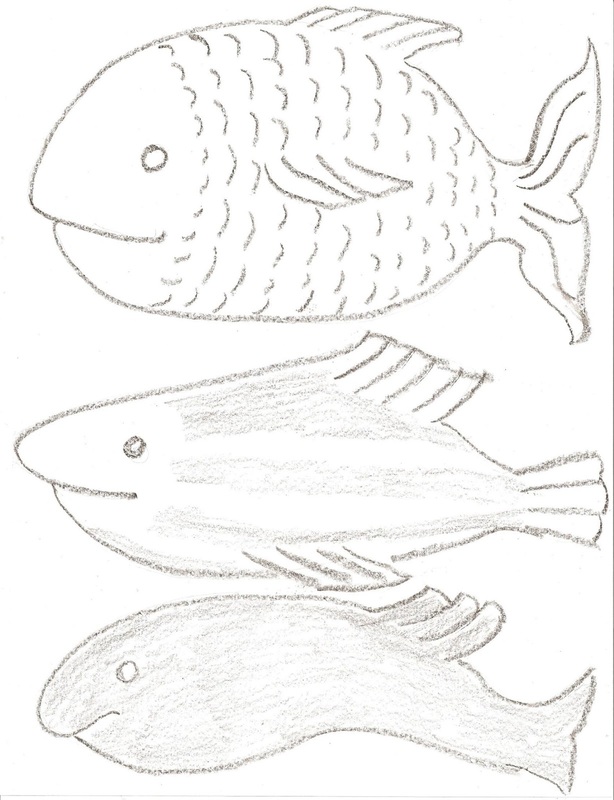 I downloaded a picture of a single goldfish cracker from google images and enlarged it to fill up a legal size paper, so they can get the idea of how big a real fish might have been (I have no idea what kind of fish the disciples caught and how big they'd be, but I figured 14" was close enough!) We're going to count out 153 goldfish together onto a large clean dishtowel, then I'll show them the big picture. 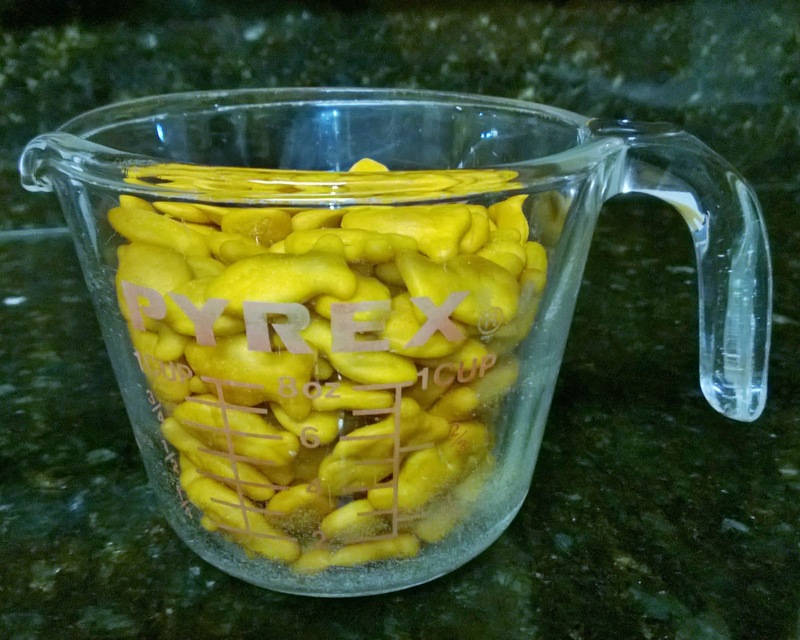 We'll talk about what it would be like to have 153 goldfish crackers that were as big as that one! Then we'll talk about abundance-- with Jesus, there's always plenty for everyone. Plenty of forgiveness, plenty of love, and plenty of fish. Hello! I love the idea of counting out the 153 gold fish. What a good idea to link it to abundance. Thanks!